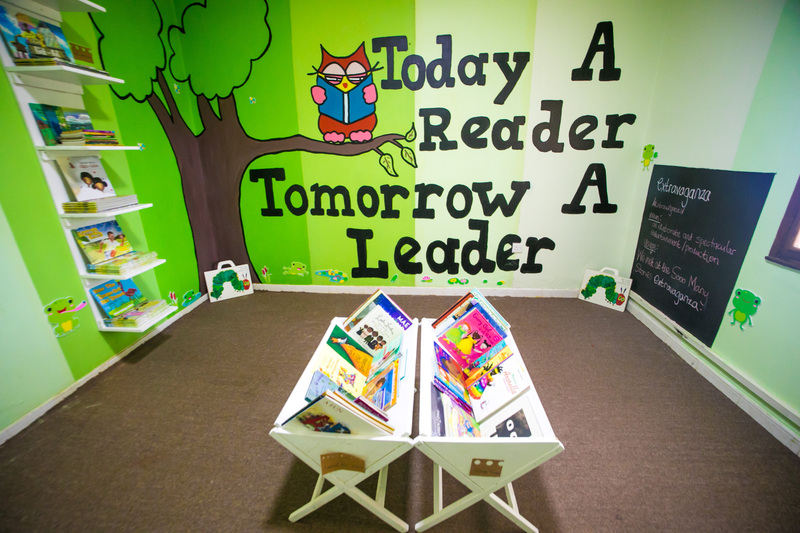 One of the easiest ways to impress reading onto your child is to surround them with books. Having books made accessible rids them of that mysterious, sacred aura and promotes them as natural and normal forms of entertainment. One of the best ways to make them accessible is to have them right in your children’s spaces, whether that is their bedroom, the play room or even the living room. 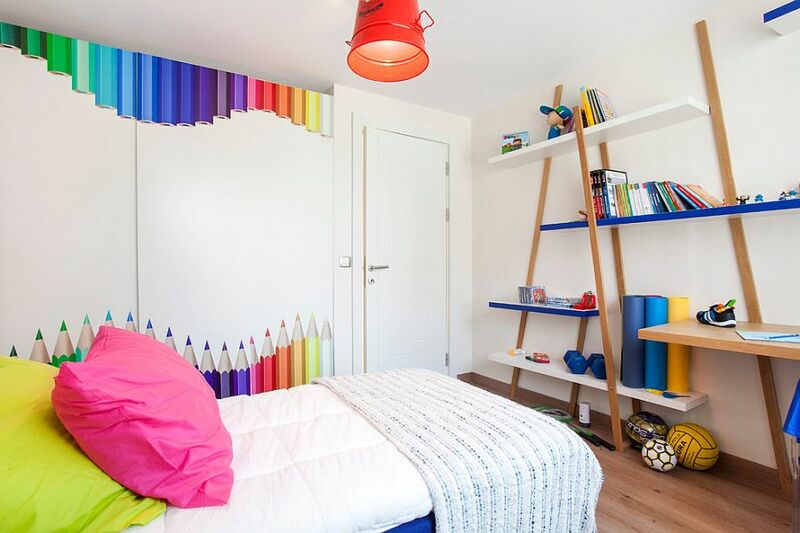 Here are a few creative shelving and books storage ideas that will keep the room neat and well organised but will still ensure your child can easily access their favourite stories. These manger type shelves can easily be made by a carpenter close to home. They are great for an infant or toddler that is just beginning their book collection as they can see clearly which book they would like and can reach out and pick the titles themselves. This also works for rented spaces where you aren’t allowed to drill into the walls. The best thing about a shelf like this is that it’s multipurpose. As your toddler begins their book collection, some of the compartments can be used to store school supplies, toys, shoes or even some of decor items depending on which room it’s in. That the space in between the shelves can be used as a little reading nook is the biggest plus. 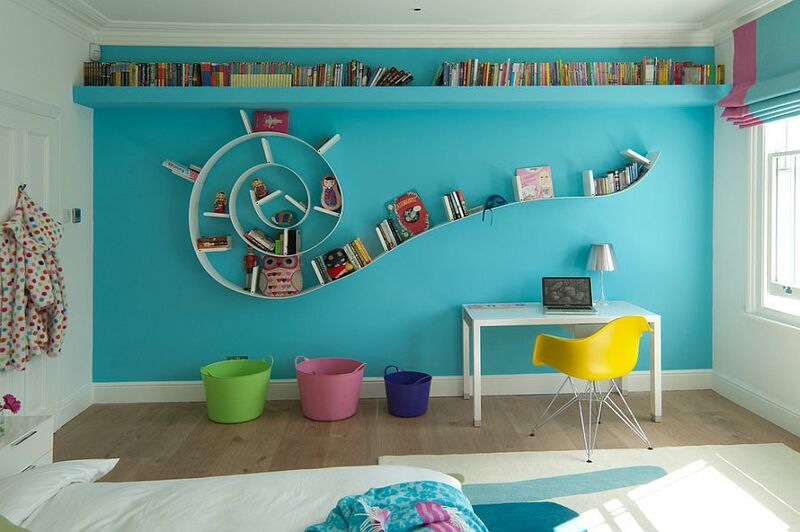 Does it get any cooler than an actual book-worm book shelf? This would be a fun yet simple way to store books for children aged 12 years and up. If you chose just the floating shelf at the top, it would be a great way to keep books that are not often used without cluttering the house and taking up space. 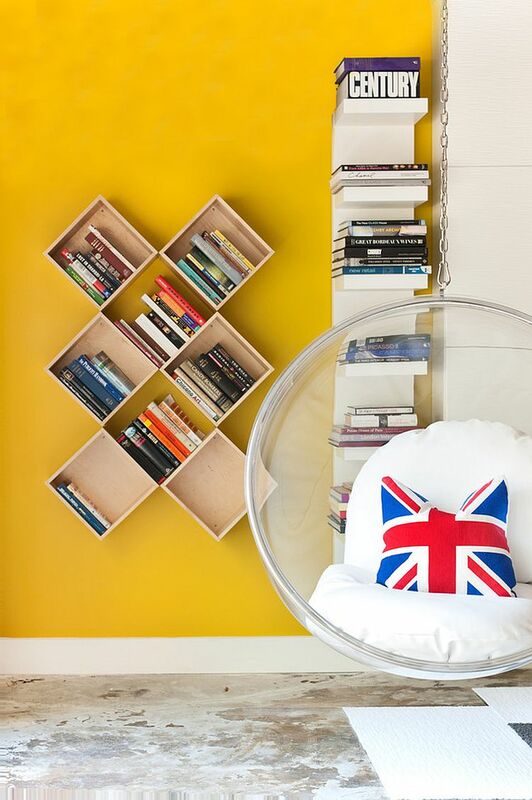 If you’re working with a double decker, there are plenty of ways to create shelving space. Here, with the bookshelves right above the heads of the bed, your little one’s can pick their favourite books and put them right back just before going to bed. Playing around with colour can spice up what would be an otherwise mundane shelving situation. Here, with the wooden beams and room colour pallet, regular floating shelves are made more exciting. 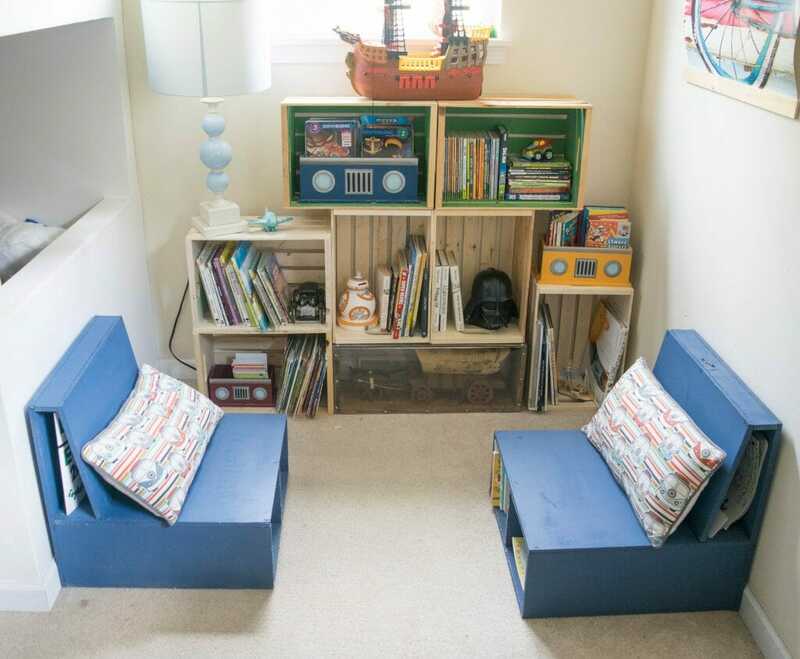 This compartmentalised shelf is great for readers aged 10 and above that are a little older, probably need more floor space in their rooms and are tall enough to pick books from the shelves themselves. These box book storage cubes can also be made by the carpenter you see on your way to work. A cheap and fun shelving option for children that are a little older and can easily identify titles by their spines. You can spice up the cubes with colours perhaps in line with the room’s aesthetic. Another great, cheap shelving idea is box crates. Stacked on top of one another they make a great shelving option for any age. 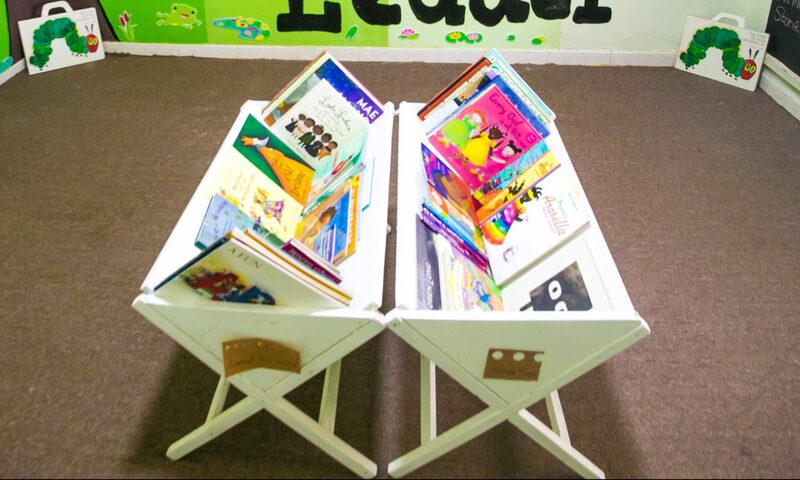 Notice the reading seats pictured above with extra book storage in the bottom and back? Absolutely perfect. This also works for rented homes where you aren’t allowed to drill into walls. 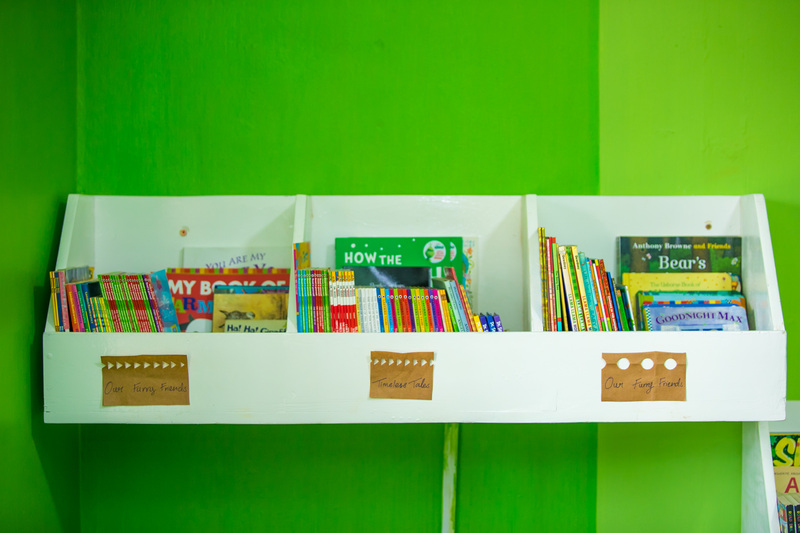 How do you shelve your children’s books? Share some more creative suggestions in the comments below!